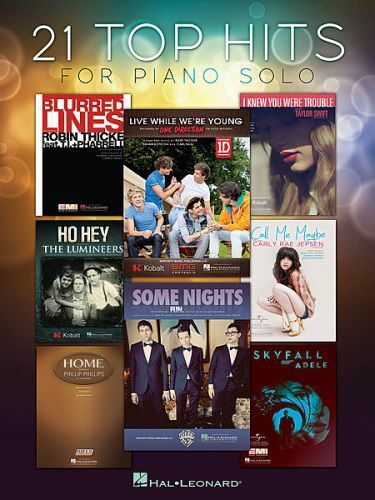 Tickle the ivories with 21 of today's hottest hits from Taylor Swift, OneDirection, Rihanna, Bruno Mars, fun. and many more arranged for piano solo. Includes: Blurred Lines · Brave · Call Me Maybe · Cups (When I'm Gone) · Ho Hey · Home · I Knew You Were Trouble. · Just Give Me a Reason · Live While We're Young · Skyfall · Some Nights · and more.